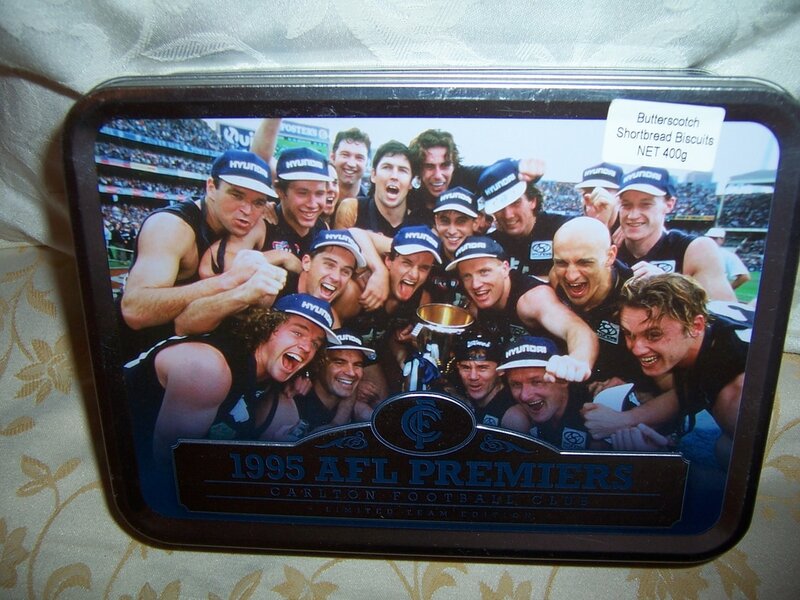 This tin is empty, and has a wonderful picture of the 1995 AFL Premiers - Carlton Football team. The front lid has a picture of the team with the premiership cup. The back of the tin has all the statistics of the day. Carlton beat Geelong Football Club 140 points to 80 points on the day. Nostalgic times for the Carlton fans. It is in great pre-owned condition with no scratches that we can see but some very minor dents to the bottom of the tin. Not sure if the camera will be able to pick them up - see pictures.